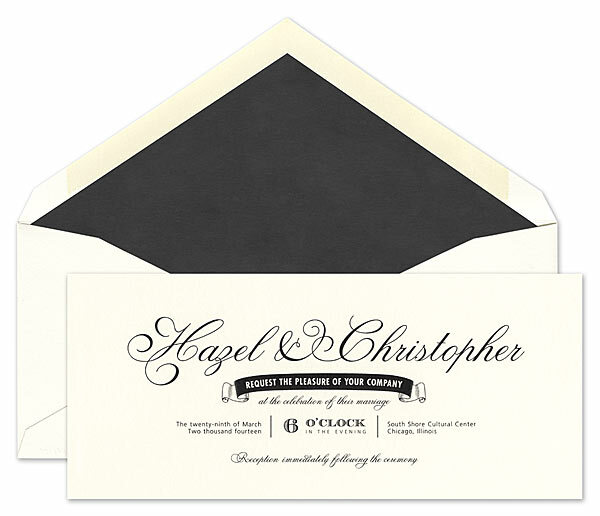 Set the stage for a mesmerizing wedding day with this dramatic invitation from Vera Wang. Sophisticated and full of vintage styling, this ecru invitation would be the perfect way to invite guests to an event held at an interesting venue such as an art museum or an opera house. 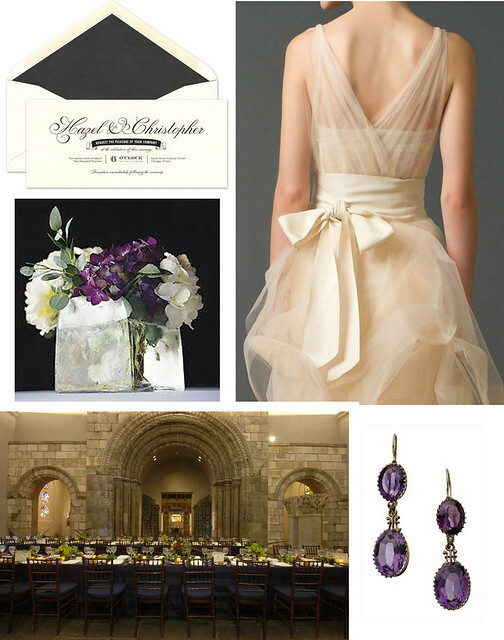 Accent your space with dramatic colors like amethyst, gold and navy, and let the venue speak for itself. With this invitation as the prelude, you're sure to have a captive audience.